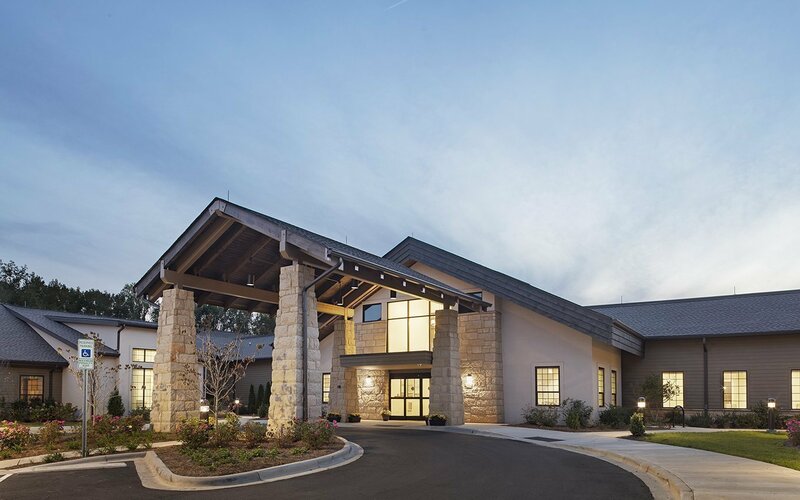 Located on a 231-acre wooded campus within the Charlotte urban area, Aldersgate is a retirement community originally founded in 1943 to provide housing and care for retired Methodist preachers and widows. Now a multi-faith community, Aldersgate recently developed a strategic initiative that will transform its campus and service models, as well as reach beyond the campus to engage with the community beyond. 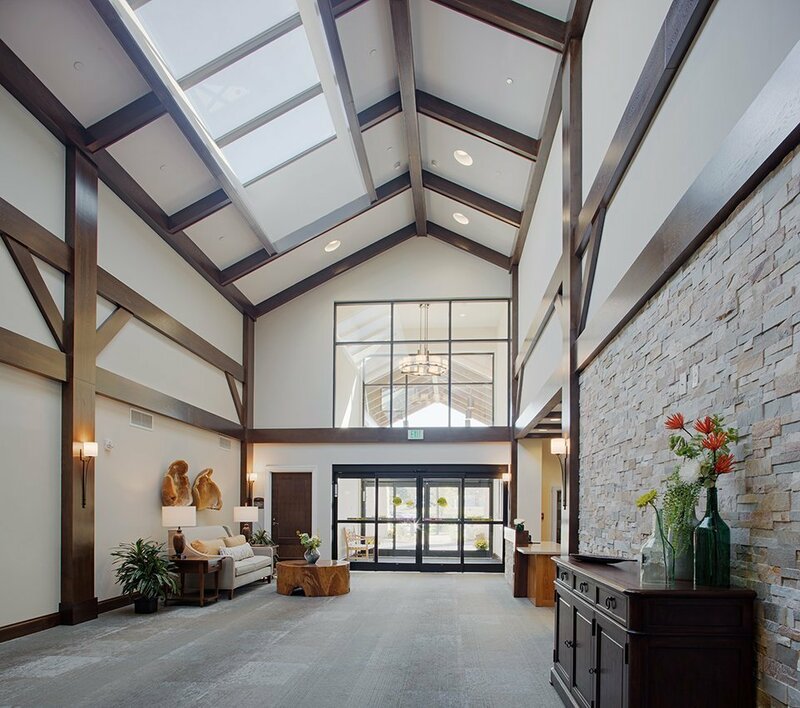 CJMW worked with Aldersgate to plan and design the initial steps of this physical transformation, which included a master plan and the design for a new 125-bed skilled nursing and rehabilitation facility. 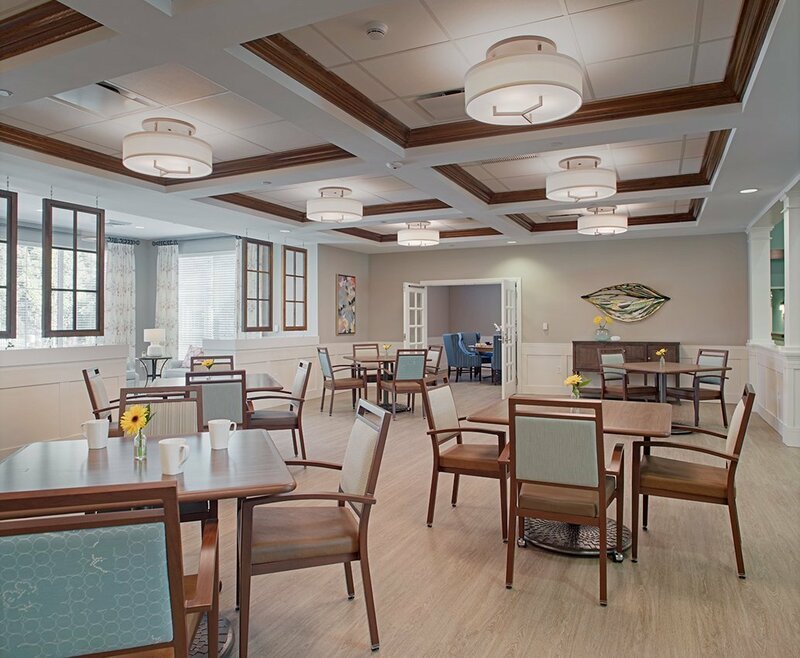 Replacing Aldersgate’s existing institutional model, the new, state-of-the-art facility reflects the shift to person-centered care that respects the daily rhythm of each resident. 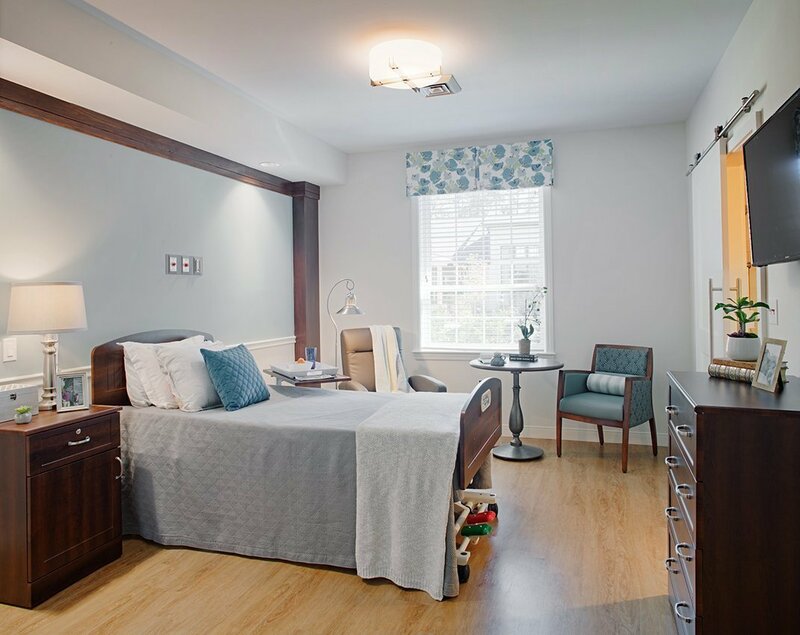 Comprised of five households with 20 beds and one household with 25 beds, Asbury Health and Rehabilitation Center includes six bariatric rooms. Each household includes a living room, dining room, and kitchen. There are no traditional nursing stations; instead, nurses will wear smart technology devices that allow them to roam freely and spend time with the residents. Physical therapy space is doubled from that of the previous facility. While meals will come from a central location, each household is independent. 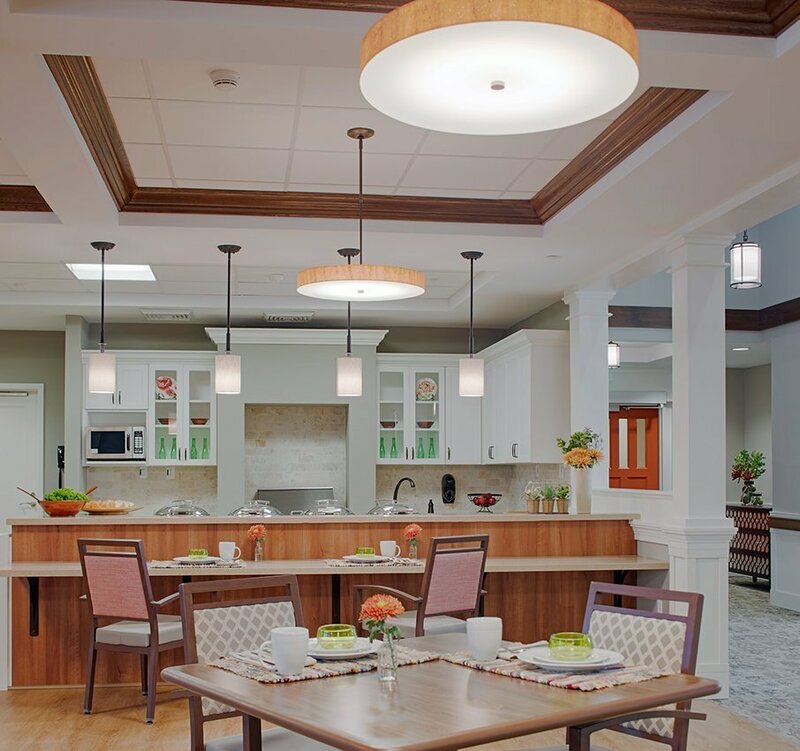 A warming kitchen and pantry in each household allows staff to further tailor food offerings to individual residents’ wishes. All resident rooms are private and equipped with euro-showers. Drawing from the team’s hospitality experience, the rooms are designed in a palette of soft neutrals with accent colors in key areas. 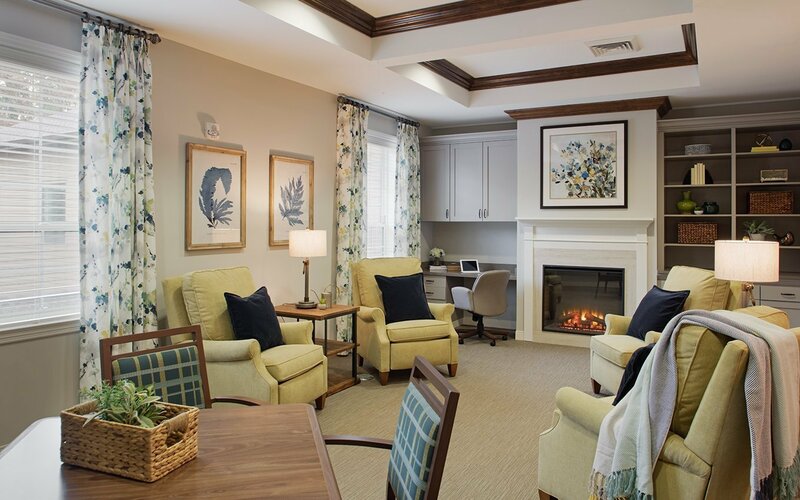 Comfortable seating provides a place for residents or guests. 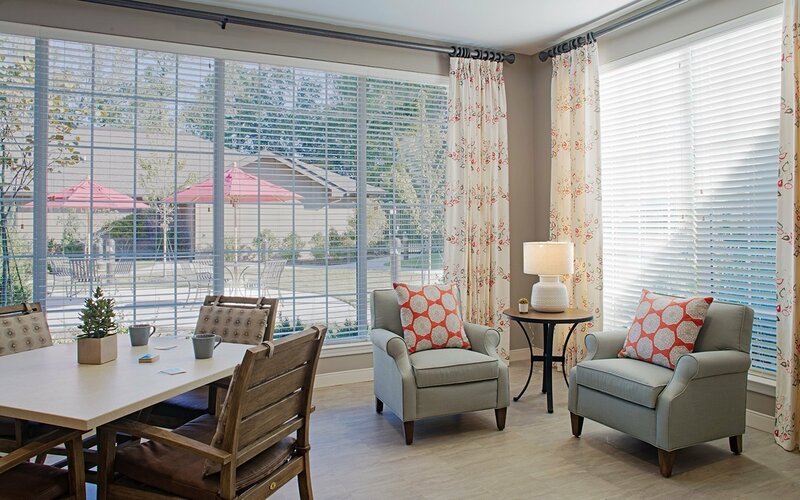 Residents of each household enjoy community space that includes a dedicated dining area, great room, sun room and den. Staff and operational support for each household includes a warming kitchen and pantries, administration offices, medical support rooms and laundry. 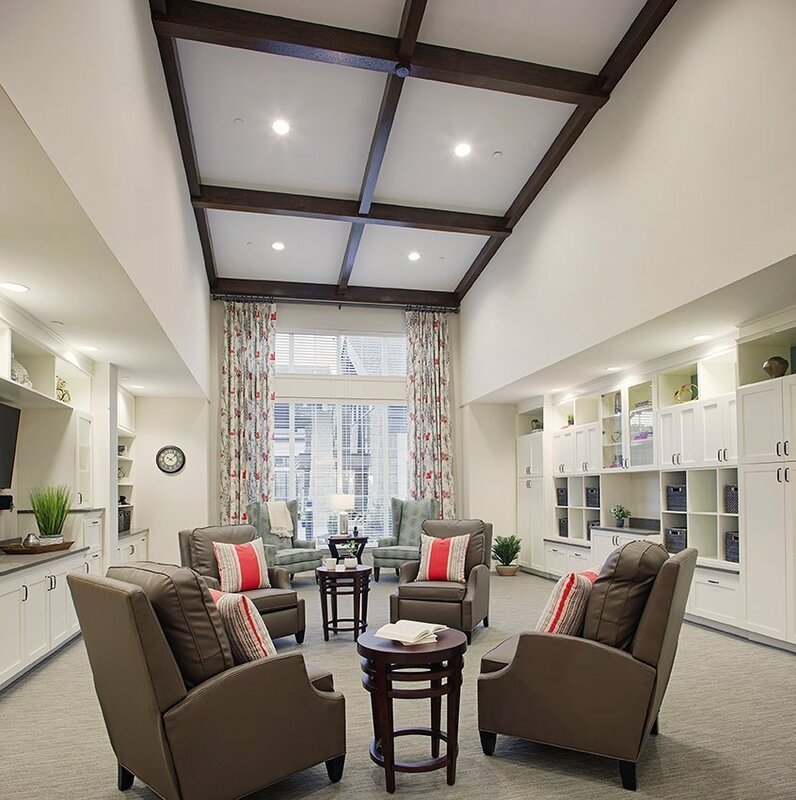 The interior design takes inspiration from Aldersgate’s setting – a historic and almost rural campus within an urban community. Three distinct palettes, each of which is rustic in tone, are differentiated by color, fixtures and furnishings. In the great rooms, vaulted ceilings with wood accents highlight large transom windows that bring in abundant natural daylight with minimal glare. 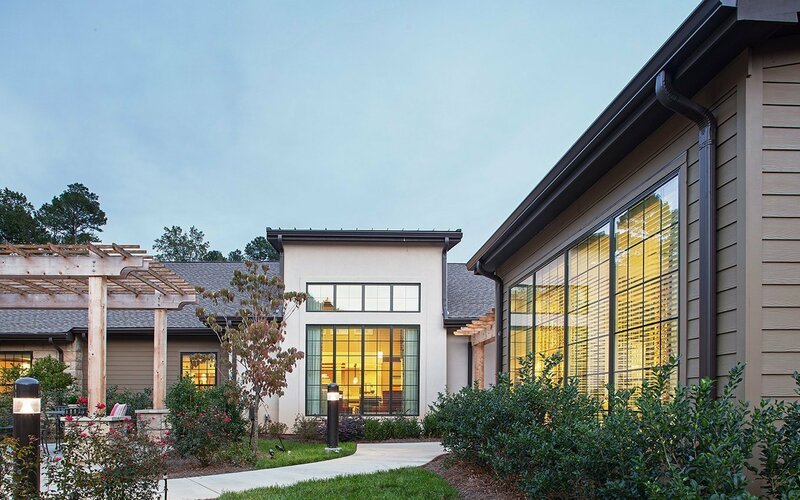 In addition to the new Healthcare Center, CJMW recently completed a 16-bed addition to the existing Cuthbertson Village, Aldersgate’s memory care building, as well as for a renovation of Cuthbertson Town Square, the centrally-located commons area for the community’s memory care residents.